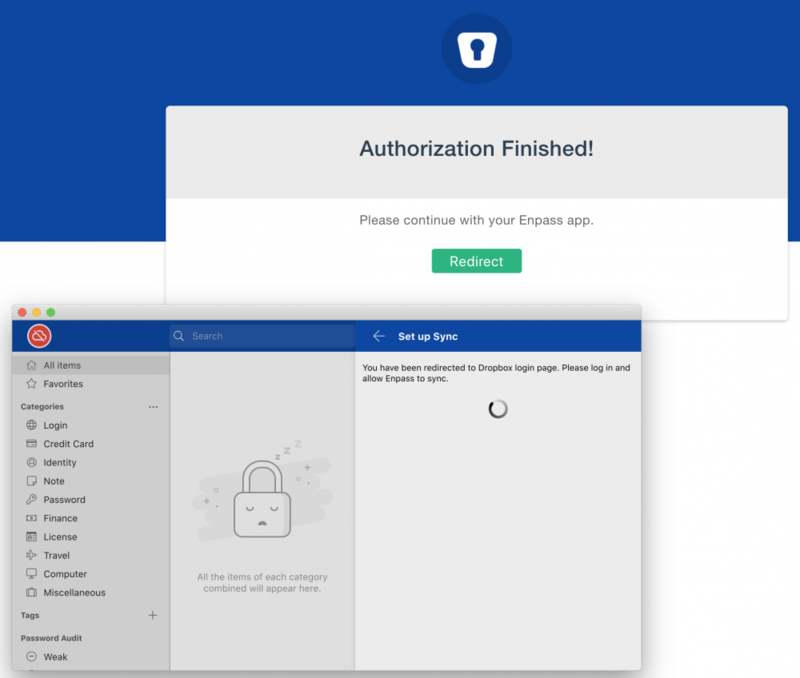 After updating to the new version, Enpass stopped syncing through Dropbox. The iOS version continues to sync, or so it seems but of course now my devices are out of sync from my laptop. Very upset! Your browser is not redirecting back to Enpass. 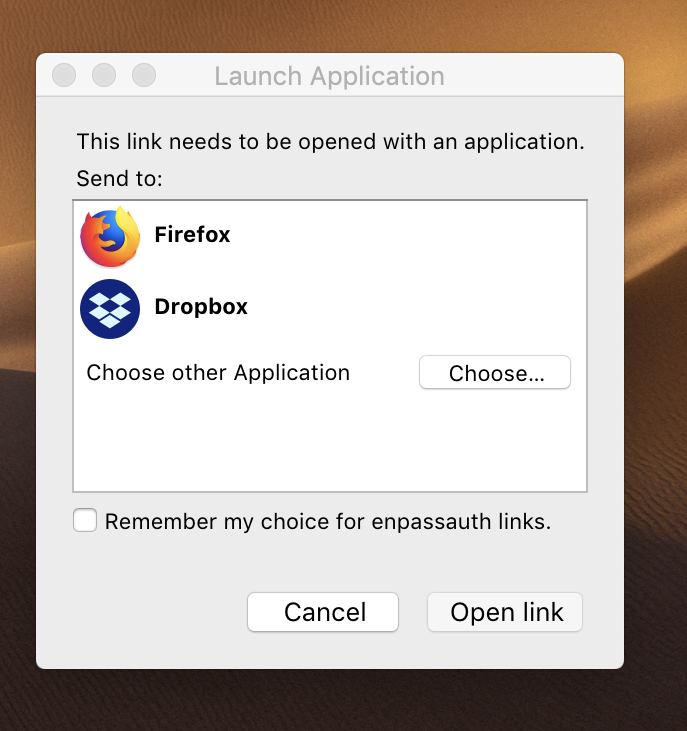 It should show Enpass in the first popup to handle enpassauth links. Try logout and login again to your mac session or set a different browser (Safari) as default browser temporarily.